In 2011, I traveled to Kenya for the first time. I loved the warm and gracious people in Kenya. Everywhere the people were happy despite overwhelming poverty. The magnificence of the landscape and the wildlife soon won my heart. As part of our trip, we visited a school called Matanya Primary. Having been a teacher and having worked in schools and around children for many years, I stood in this school for two hours and cried. The children sang and danced for us in the most miserable classrooms I had ever visited. The floors were a deeply rutted mud/dirt combination. There were high water marks on the slatted walls, which did little to hold the elements out. No electricity, no running water, very few books, pitted blackboards were just some of the issues. I made a vow to try to help this area. 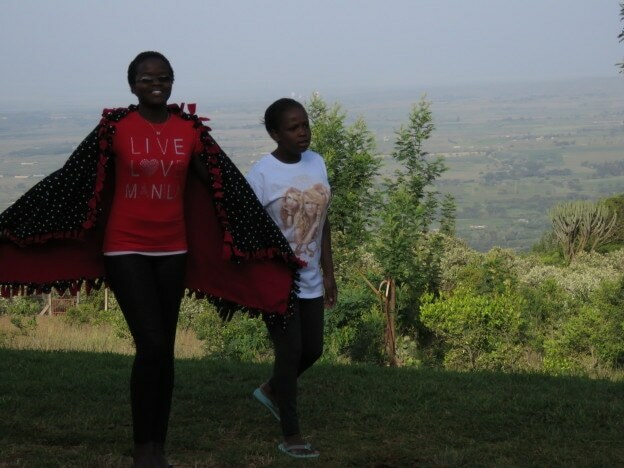 Through our travel guide, I learned of an organization called Matanya’s Hope. Long story short, I was able to meet Michelle Stark, Founder of Matanya’s Hope. I began a fund and resource collection at Decatur Middle School to bring shoes, blankets, school supplies and funds to help her mission in Kenya. In 2013, I chose to travel and volunteer with M.HG. Again, even though our travel style was very different, I found warmth and graciousness everywhere we went. This time, I was able to visit many schools in rural Kenya. I met several hundred children who needed nourishment, shoes, clothing, school supplies and more. In Kenya, school fees must be paid and many children missed school due to a lack of fees. At a school in the Mara called Sekanani Primary, I fell in love with a young girl who recited a most beautiful poem called: “Girl Child”. She spoke of and against early marriage, female circumcision, lack of education and freedom for girl children. Michelle and I were both moved to tears. We actually filmed her and had her repeat her performance several times until we had a great video. During the time we spent with Christine Naini, we learned she had no sponsor and really no hope of attending high school. I quickly stepped up to sponsorship. I saw a young girl (about 12) who could speak passionately about almost taboo subjects for hundreds of girls. Much later, I learned that Naini had also written the poem she recited. What I knew at the time was that she needed to continue her education through high school and hopefully beyond. The joy on Naini’s face when she learned she had a sponsor was so wonderful to observe. She quickly disappeared and remained away for some time, only to come back with her widowed mother. Her mother and I embraced each other and even through it meant Naini would go to a boarding school and would be away from home, her mother was so happy. 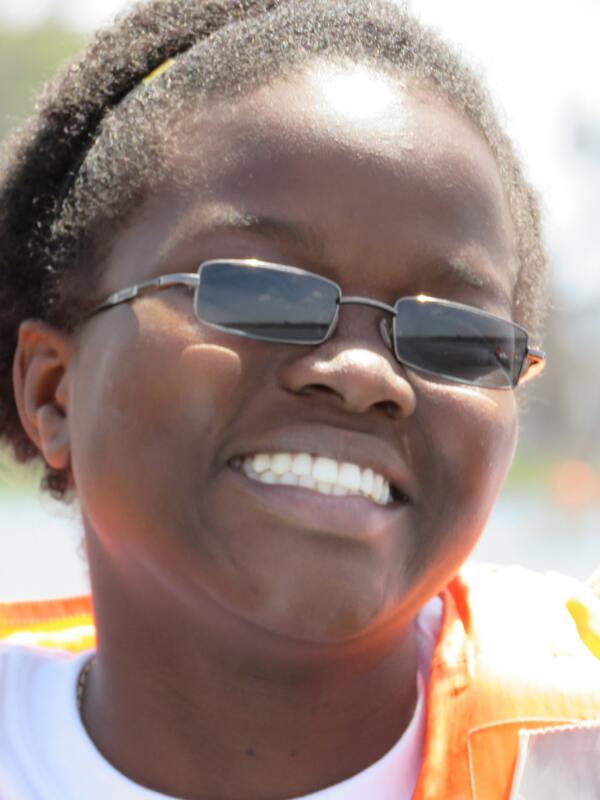 Now Naini goes to one of the best boarding schools in Kenya. She receives a rigorous education without needing to fetch water, collect firewood or do laundry (other than her own). She eats 3 meals a day (in a country where children can go without meals for 2-3 days). She is free to pursue her education and her desire to be a surgeon. I hear from Naini occasionally through a teacher who gives her computer access and one or two letters each year. I love the days I hear from her and I replay her video of “Girl Child” when I just want to hear her voice. I get to help in a most amazing way. My heart knows that I am helping a young girl become all she can be. I know she receives enough food every day. I know she has the potential to be very influential in her world. I know that somewhere, way across this world, someone prays for me as I pray for her. We shared laughter and tears and stories these3 days. She calls me an angel in her blog, but I receive so much more than I give. I get to see the world through Naini’s eyes and know she has hope above all else. I always come home so grateful for the life I have been given. A sponsorship of a child can enrich both the child and the sponsor. For $125 a month, you can pace a child living in abject poverty into a boarding school with 3 meals daily. Sponsored students also receive 2 school uniforms, shoes, blankets, school supplies, transport, minor medical care and a chest for their belongings. But the best gift of all will be the love and care they receive from you. This entry was posted in MISSION 2015 on July 14, 2015 by Michelle Stark.